Pick-up, Pathfinder. Nv full size Van. Sentra, 200SX. Titan XD. Frontier. Maxima. Murano. Altima. Xterra. Armada. Quest. GT-R. 3.5L. 3.0L. 3.3L. 5.6L. 2.5l. 4.0L. 2.4L. Xe & gxe. To 1/00. 2012-16. 2017-18. 1.8L, all. From 1/00. 6 cylinder. 1.8L, without clean air model. One may ask themselves, how can a Nissan Dealership have its own Performance Division? Its very simple...We share the same passion as you! The Nissan Race Shop was created to fill the void that Nissan Dealerships were lacking...a true Performance Division. 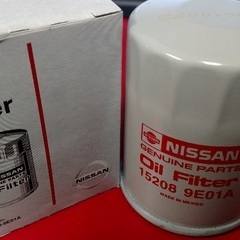 Not only do we sell quality aftermarket parts for your Nissan vehicle, but we develop, test and install products as well! Its not unusual to find us at your local Time Attack racing events competing along side you! Have you been looking for the right place to purchase parts, get them installed, and with the confidence knowing its in the right hands? Well...you've found us!